KiTTY is a Telnet, SSH and Rlogin client forked from PuTTY. In addition to adding portability, it supports many new features, including session filters, automatic login, session icon, pre-defined saved command shortcuts, terminal protection feature, automatic login and ability to run commands on startup. Interface improvements include transparency, roll-up and more. How to extract: Download kitty_portable.exe to a folder of your choice and launch. Thanks for the nice tip. @siegfried: I confirm your findings, even after adding a "configdir=" key with a relative path. PuTTY 0.66, released today, fixes a security hole in 0.65 and before: vuln-ech-overflow." See "Latest news" at http://www.chiark.greenend.org.uk/~sgtatham/putty/. 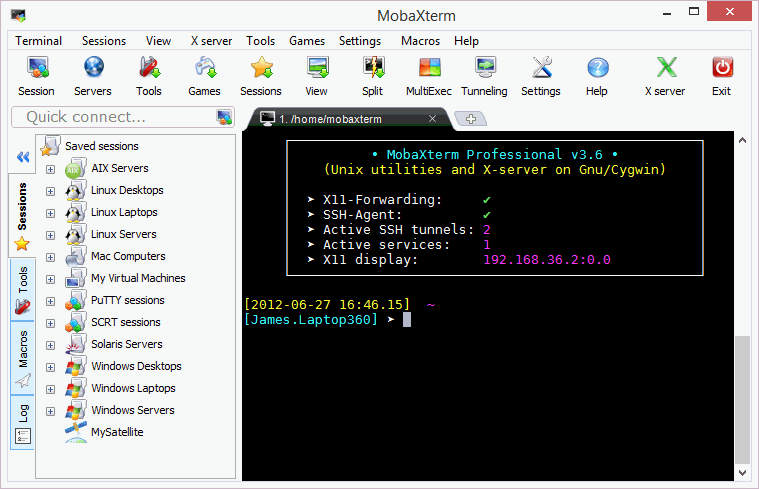 Terminals is a powerful network tool that tries to unify various network tools and connections including a variety of client services, utilities, and search. 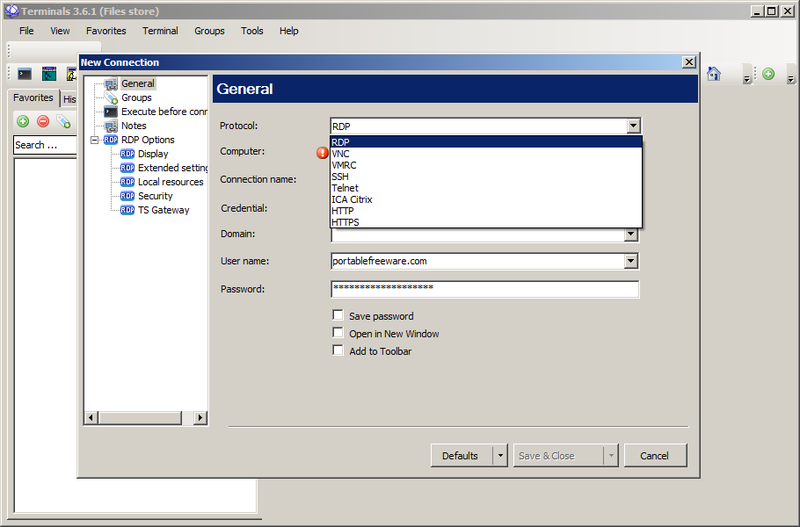 Supports terminal services and remote desktop (RDP) client and uses Terminal Services ActiveX Client (mstscax.dll), as well as RDP, VNC, VMRC, Telnet and ICA Citrix connections. Tools include Ping, Tracert, DNS tools, Wake on LAN, port scanner, shares etc. and can search computers in Active directory or in your network by IP addresses. The program includes a tabbed interface, customizable toolbar and uses a master password for increased security. 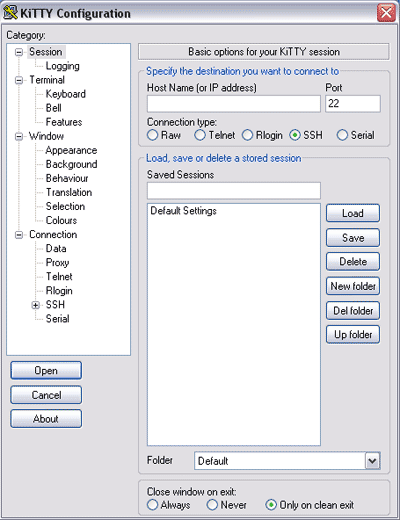 Settings available for remote desktop size, screen mode, and fonts, as well as colors for terminal connections. Terminals saves password and connection profiles, scripts, and other methods to organize your available connections (including search). The program will import many other types of connections and even sync them with Amazon S3 service. Note: This version works perfectly from network shares, but not from mapped RDP-Drives. 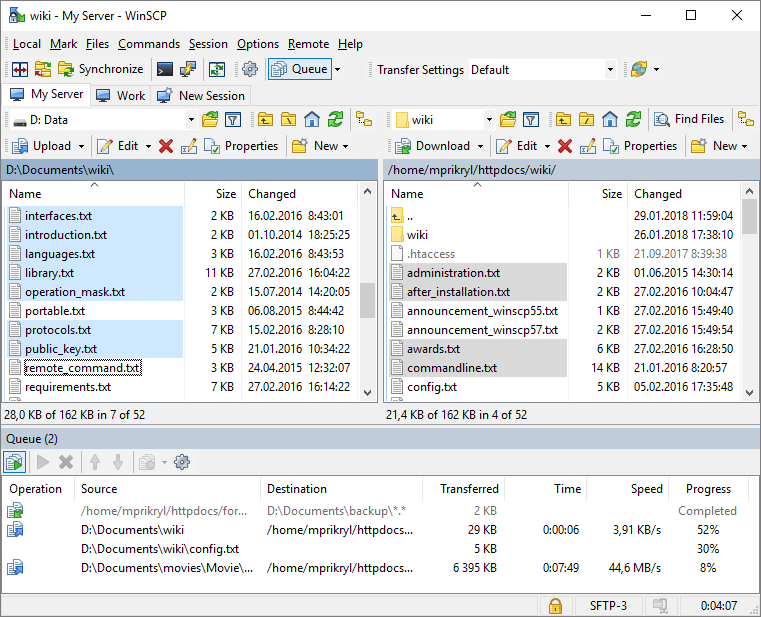 Dependencies: .NET Framework 4.0, RDP connections require RDP Client 6 or higher. How to extract: Download the ZIP package and extract to a folder of your choice. Launch Terminals.exe. Current version is 3.3 (stable), but DotNET requirement has been upgraded to v4.0.